Hanoi (VNA) – Deputy Defence Minister, Sen. Lieut. 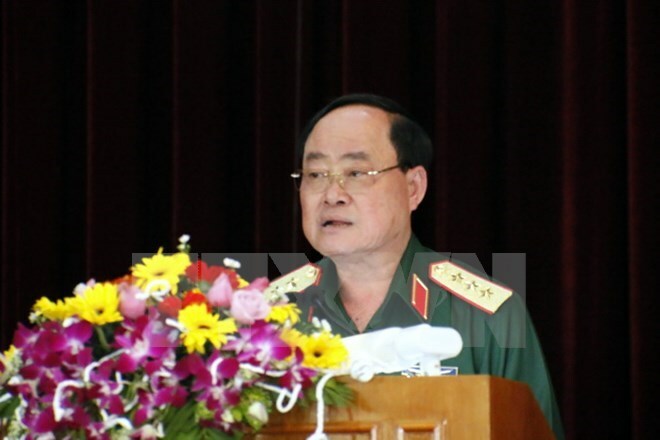 Gen Tran Don hosted a reception in Hanoi on August 22 for Director of the General Logistics Department of the Lao People’s Armed Forces Vongkham Phommakone. The officers agreed that under the direction of the defence ministries, the general logistics departments have effectively partnered in ensuring military supplies and equipment for Lao military trainees and officials during their long-term training in Vietnam. Phommakone informed the host about the outcomes of his talks with the General Logistics Department of the Vietnam People’s Army, during which both sides have agreed to work closely together in long-term training for Lao side.